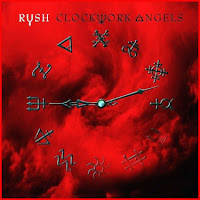 Simply put: Clockwork Angels is Rush’s best album in 30 years. Moreover, it’s an album that challenges Rush’s heydey material and sees a return to the concept album. Neil Peart, through a loosely tethered narrative, casts a young man pursuing his dreams in a world of chaos and fantastical steampunk themes. I shan’t delve too much into it, but know that it’s typical Rush (that is to say it’s goofy but awesome). The music at hand far overshadows that of Rush’s 2007 misfire Snakes & Arrows; it’s far more proggy (but doesn’t compromise the hooks), focused, and polished. Through a convoluted plot, Clockwork Angels (unsurprisingly) comes full circle in the end, and, beyond its intrinsical narrative, it’s very musical. Neil Peart is at the top of his game: his acuity of technicality makes his playing sound second-nature to him -- so unmanufactured and instinctive. Likewise, Geddy Lee’s bass playing is masterfully mixed and given more prominence than on previous albums, easily servicing to be a highlight. It may be a little difficult to digest at first, as Rush albums are wont to do, typically being exhaustively long, but it’s a ridiculously strong musical statement, and a fine, fine return to form. In fact, I’d like to amend my original statement to this: Clockwork Angels might just be Rush’s best album, period.